The Salvation Army is many things to many people. Those struggling to make ends meet find a helping hand to move back toward self-sufficiency. During times of disaster, those affected receive accommodations, a hot meal and assistance getting things back to normal. Families going through difficult times experience spiritual care to restore hope provided by Corps Officers and loving support from a community of believers. Whether it's a hot meal, warm blanket, a fan, school supplies, or a box of groceries to make it to the end of the month helps transform lives. The Salvation Army stands ready to share the love of Jesus Christ with everyone. The Wichita Metro Area Salvation Army has been a beacon of light throughout Sedgwick County through The Mission of Hope Programs. Restore Hope to Transform Lives Campaign - We can Do More Good when we Restore Hope and Transform Lives. This Mission Campaign is the largest fundraising activity The Salvation Army conducts all year. Funds raised are not only used for the Thanksgiving, the Christmas Holidays and Christmas In July Awareness Campaign all provide a financial base as The Salvation Army meets the needs of the Wichita Area every day of the year. Coat & Winter Wear Distribution - Among initiatives, we partner once a year with KAKE TV (Ch 10), In The Bag Cleaners, Scholfield Honda and Pratt Industries to collect winter clothing through January 31 and offer distribution in the Fall at The Citadel Community Center (1739 S. Elpyco) and West Orchard Community Center (1910 S. Everett). Neighbors in need may bring proof of ID for everyone in the household (Sedgwick County residents ONLY) while supplies last. NOTE: In an emergency, we are here during business hours to accommodate the need any day of the year. 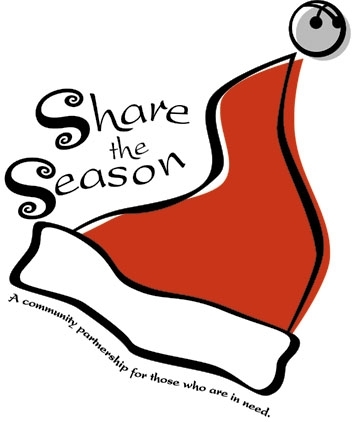 Share the Season - Through applications and a partnership with the Wichita Community Foundation and The Wichita Eagle additional assistance is given to meet needs that are very difficult for families during the Christmas Season, as an example a high utility bills or medical bills. Community Care Ministry - The Salvation Army visits nursing homes and delivers gifts to each resident of the home. Angel Tree and Star of Hope - Last year more than 3,000 families and over 10,000 kids were helped through this program. 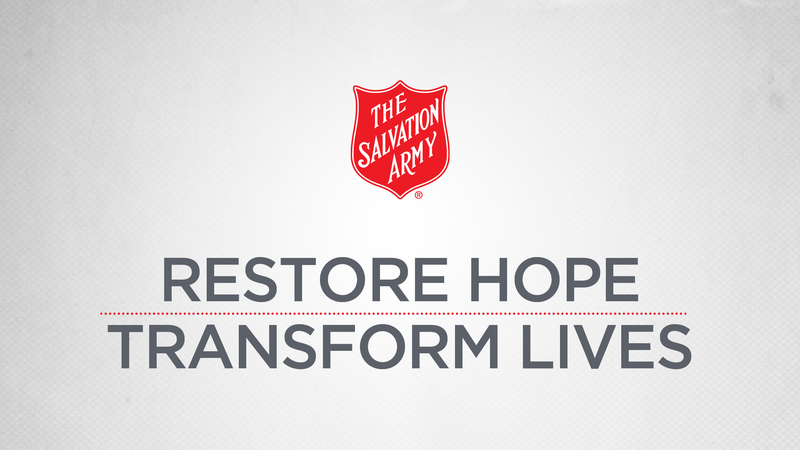 Volunteer to Restore Hope and Transform Lives - There are so many ways for you, your family and friends to get involved with programs and services provided by The Salvation Army, every day of the year. Click here to see all the volunteer possibilities so - you- can make a difference in people's lives. Restoring Hope to Transform Lives can only be accomplished through the generosity of our neighbors and friends in the Wichita area. Monetary donations are always appreciated, but we also need the prayer support for the people that come through the doors of The Salvation Army and the employees that are here to be an example of Christ to those that come to us for help.